Well hockey fans… it will be the Philadelphia Flyers and the Chicago Blackhawks doing battle for Lord Stanley’s Cup. What’s remarkable to me is the run that both of these teams are on. It’s really quite incredible. The Flyers, who took care of the Montreal Canadiens in 5 games, put an end to the magical ride that the Habs were on. In turn, the Flyers really have turned into a tough, no-holds barred team to be reckoned with. As much as it hurts me to say it, these Flyers will be a tough out for the Chicago Blackhawks. As for the Hawks, this is the moment that this franchise has been waiting for. Good drafts, nice trades, and some free agent pick-ups have brought them to this great chance to win the Cup. The Blackhawks took care of the San Jose Sharks in 4 games. Fluky? I think not. The Hawks are a team with loads of talent and depth. The latter to me is the most important! A few weeks ago I would have picked the Hawks to finish off Philly with ease… now, I’m not so sure. Byfuglien Vs. Pronger, Richards Vs. Toews, and Niemi Vs. Leighton. There are plenty of great matchups in this series. In the end, however, I am going with… drum roll please… the Blackhawks in 6! Let me know your thoughts on the outcome. Whether you agree or disagree with me! Some other quick thoughts on the happenings in the NHL… Steve Yzerman is now running the show in Tampa Bay. I think this is a great hire. Yzerman is all class and he has done his time in the administration department since his retirement. 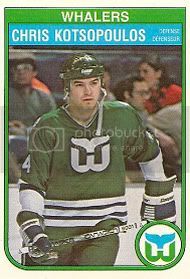 I just hope he doesn’t try to replicate the Euro-wings part II in Tampa. 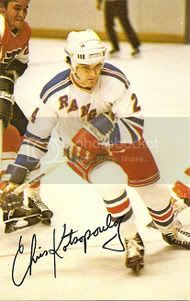 Can somebody, anybody please give the Phoenix Coyotes and my former teammates Don Maloney, Dave Tippet, Doug Sulliman, and Ulf Samuelsson a break?! Sell the damn team to the Blackberry billionaire. 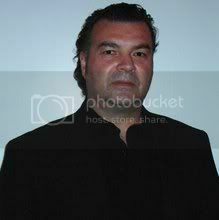 That’s right, I said billionaire, Jim Basille. Put a stop to all the nonsense that is the Phoenix Coyotes! It’s a soap opera that has gone on too long. One last thing. Congrats to the Czech Republic for winning the gold medal over the 0-for Russians by a score of 2-1 in the finals. Three cheers to Jaromir Jagr... you made my day! Over and out! The Conference Finals Have Begun! 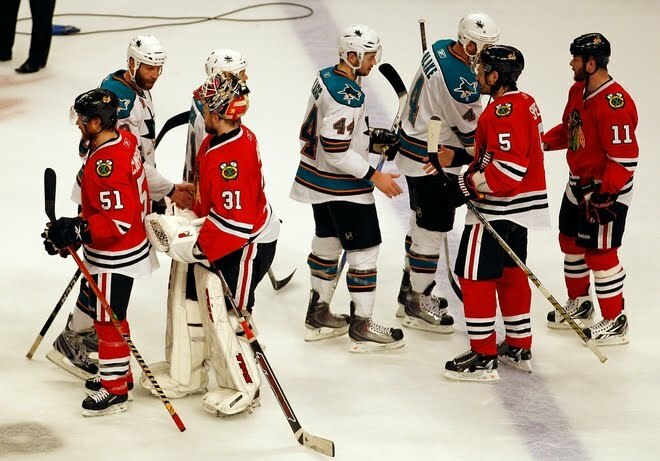 In the West, the Blackhawks drew first blood as Antti Niemi was outstanding in a 2-1 Chicago victory over the San Jose Sharks (Who I thought played good enough to win). There was a combined total of 85 shots between Niemi and Nabakov. Niemi turned away 44 of 45 shots, while his counterpart turned back 38 of 40. Both teams, I thought, had their moments. They showed why they are in the Western Conference Finals. 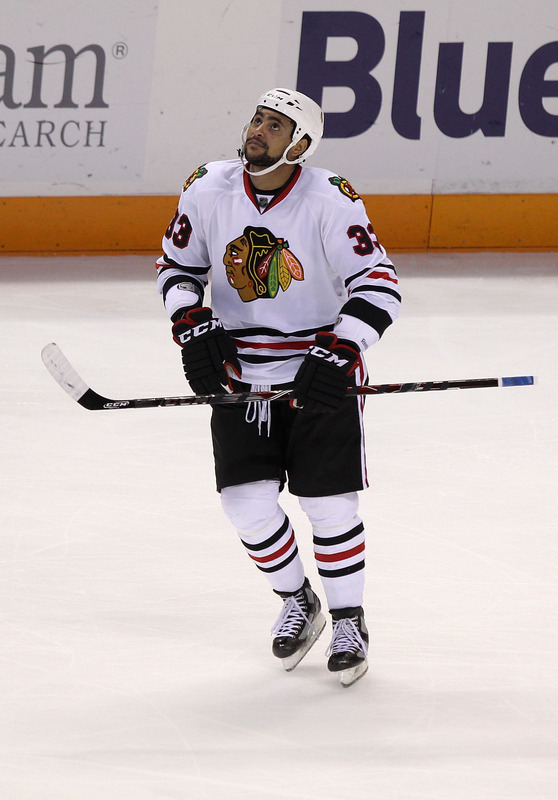 The Blackhawks got a big goal in the third period by Dustin Byfuglien (Can we get him a Ranger uniform please?) with 6:45 remaining. Byfuglien’s goal gave the Hawks a 2-1 lead that they would not relinquish. San Jose put plenty of pressure on Niemi in the closing moments, but it was to no avail. Boy, when you look at what the Blackhawks have done on the road this year in the playoffs… it’s simply amazing! They are now a very dominant, 6-1 on the road. That, my friends, can only spell trouble for the Sharks. Game 2 will be a must win for San Jose or the representative from the West in the chase of Lord Stanley will be the Chicago Blackhawks. The Conference finals are also underway for the Eastern Conference. The Philadelphia Flyers, who pulled off a magical and historical comeback over the Bruins, totally dismantled and humiliated the Montreal Canadiens in Game 1. 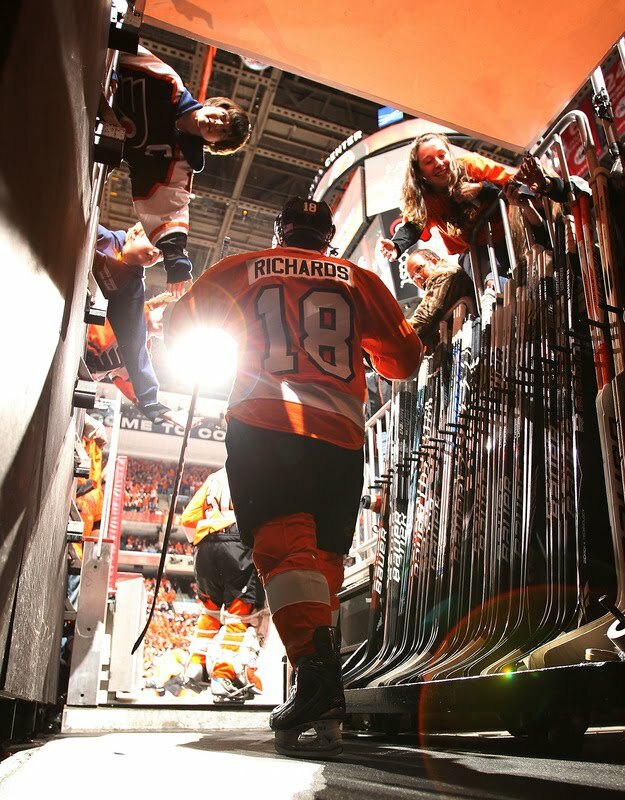 The Flyers won by a score of 6-0 in front of a raucous home crowd in the Wachovia Center. The Flyers never gave the Canadiens a chance in this one. 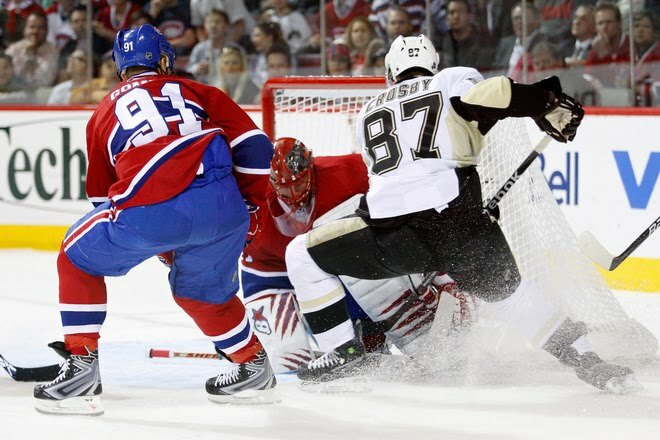 The best Montreal could do was attempt one shot and then their offensive attack was done! 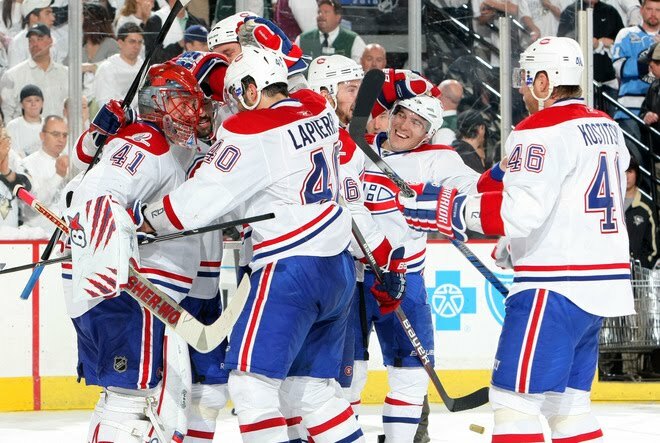 It sounds familiar… this is how the Habs have played their way to this point! Jaroslav Halak was not Superman tonight. In fact, he fell back to being a mere mortal. His stat line looks like this: 4 goals allowed on 13 shots. He was then chased and Carey Price ended up finishing the game for the Habs. Michael Leighton, for the Flyers, was steady and solid. His teammates gave him a comfortable lead and they played stingy defense all night long. They played the way that Montreal has almost perfected during this playoff run. I, personally, was surprised by the outcome. Is this the Montreal that many have been waiting to see? It’s possible. I know it’s only one game, but the Flyers were very impressive and really they have been since they were down 3-0 late in the first period in Game 7 in Boston. Since then, the Flyers have scored 10 straight goals and have surrendered nothing! Not even one goal! That, to me, is a tough thing to do. 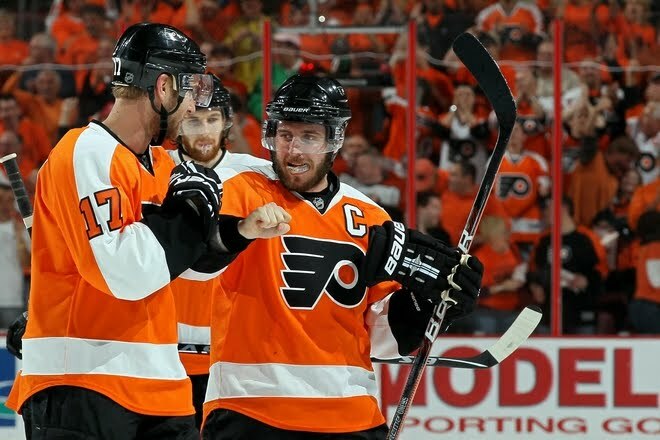 Although after winning the Bruins series, what is considered tough for the Flyers these days? Over and out! The second round is almost over with just the Bruins and Flyers left to finish up their war with Game 7 in Boston on Friday night. Where do we start? Oh, in case you haven’t heard, the Montreal Canadiens have landed in the Eastern Conference Finals. Jaroslav Halak has taken his Montreal team and have slain the two giants of hockey. First, Alexander Ovechkin and now Sidney Crosby. The Canadiens, against all odds, walked right into Mellon Arena in a winner take all 7th game and they shocked the Penguins, their faithful, and probably the NHL hierarchy. With a stunning 5-2 victory, the Canadiens sent out Mellon Arena on a sour note for the Pittsburgh faithful. You have to be impressed with this Montreal club. Halak is making history like other Montreal legends before him. Legends such as: Ken Dryden, Patrick Roy, etc. His team has followed his lead and with tight defensive coverage and opportunistic scoring they have become a monster of a team. I didn’t see this one coming and I’m sure most of the hockey experts didn’t either! If they did, well… they’re full of s***! Sorry to cuss, but it’s a perfect word to describe it! Whoever they play next had better do a lot of studying! If Ovechkin and Crosby couldn’t figure them out, then why would you think the Bruins or Flyers can? As for Pittsburgh’s failure, there’s no excuses. Overall, you just got beat! M.A. Fleury was outplayed by Halak. Malkin, for the most part, played very uninspired hockey. Crosby tried and worked his tail off, but to no avail. He got shot down just like the rest of them when it counted. Like I said, no excuses. Montreal deserved to win. It’s that simple. Now, onto the Bruins and Flyers. How on Earth did the Boston Bruins forget to close the door on the Flyers? Easy. They got too cocky and confident of what they have been achieving. The only problem is that it takes 4 games to win a series. Not 3. Now that the Flyers have walked through that door, I believe that it’s anyone’s game to take in Game 7. Pressure is now on the Bruins because they don’t want to make history in blowing a 3-0 lead. The Flyers, on the other hand, have a lot of momentum. I still like the Bruins, but the way the East has gone… who knows? Now, how about we talk about one of my favorite teams? Not! The Detroit Red Wings, who were finally put out of their misery by the San Jose Sharks. I don’t want to dwell too much on this series, but the Sharks were too hungry and the Red Wings are starting to show their age. 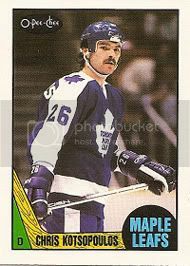 Again, I personally want to thank the Sharks for eliminating the “Euro-Wings”. Thank you! The next opponent for the Sharks will be the Chicago Blackhawks. 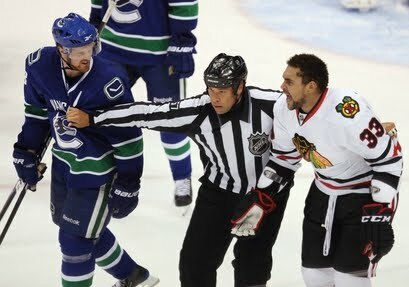 The Hawks totally dismantled the Vancouver Canucks in Game 6 (in Vancouver) to take the series. The Blackhawks are the ultimate Jekyll and Hyde team. When Dr. Jekyll shows up, the Hawks are passive, not aggressive, and seem generally uninterested. When this happens, they are very beatable. When Mr. Hyde shows up, look out! They are tough, fast, in-your-face, and physical. They can’t be beat when they play like this! San Jose/Chicago should be a very good series. Plenty of big names and lots of skill on both side. The question is… can Dustin Byfuglien be the one who tilts the series in Chicago’s favor? Only time will tell. Over and out! I have to admit, it’s not much fun writing this blog without the Rangers somehow involved… that being said, what could’ve and should’ve been wasn’t in the end. That’s the reality, folks. 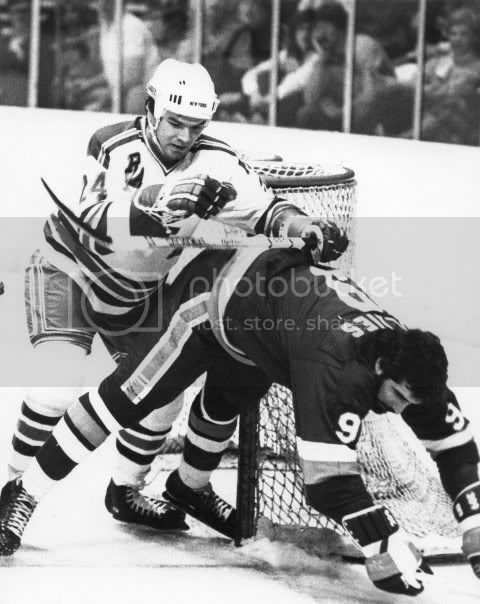 Let’s hope this doesn’t happen again anytime soon for the Blueshirts. That’s all I have to say about that! Has there been a team that has flown under the radar like the Boston Bruins? I don’t think so. In one of the more closely contested series (as far as play goes), the Bruins have played gritty playoff hockey when it counts the most. As a result, they are now up 3-0 against a tough, but depleted Philadelphia Flyers squad. The games have been close, but in the end Tuukka Rask has been the star for the Bruins. In return, his team in front has followed his lead. The Bruins in the Eastern Conference Finals? Who would have guessed? Not me! Now, onto the Western Conference… the Vancouver/Chicago series. What has happened to the Canucks? After a solid effort in Game 1 (5-1 win) on the road, they have completely fallen apart! The Hawks, on the other hand, have woken up and used their great size and youth to win 2 straight games. Game 3 was a dominant physical win for the Hawks by a score of 5-2. Dustin Byfuglien single handedly destroyed the Canucks with his awesome combination of size and skill. Vancouver had no answer for him. The Canucks have to find a way to match the Hawks physical presence or this series might not go the distance (as I had predicted). Although San Jose got manhandled in Game 4 by Detroit (7-1), they are still in a great position to finish off the Wings. The Sharks will have to show up early in Game 5 back in San Jose and not give the Red Wings a reason to believe. The Sharks know that their legacy rides on this series and playoffs. Failures of the past are still talked about. It’s time for the Sharks to discard all of that and put the Wings out of their misery. They have been the better team overall, but now they need to prove it! Over and out!